Paper Issues has a new issue posted and this round we have paired up with Waffle Flower Crafts. I received a set of the Calendar Numbers Stamp Set and I loved them so much that I got to work on a card just as soon as I could get the envelope opened! I love the two sets of numbers, one solid and one outline. The two sets together give you a ton of options and with the verbiage pieces, it makes it perfect for pocket pages, planners, gift wrap, and cards. I layered them up, using neon inks to create a faux 3D look for my daughter's birthday card. Stop by the Paper Issues blog to see what the other Paper Issues girls did with the stamps and check out the blog again on Friday the 20th to see what the Waffle Flower ladies did with the Paper Issues Swag Bag! 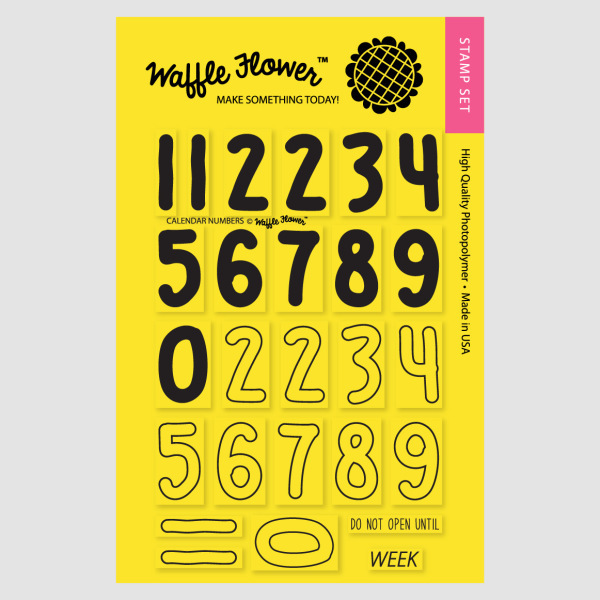 You can win set of these calendar stamps from Waffle Flower Crafts for yourself if you link us up to your project(s) at Paper Issues on the Painting By the Numbers link party! Here are a few link up suggestions...use numbers (embellishments, stickers, rulers, patterned paper, etc. ), mixed media (watercolor, gelatos, inks), stamping, St. Patrick's Day, or use Waffle Flower Crafts products. 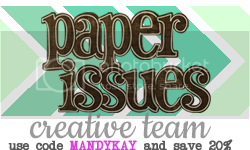 And if you are in the mood for some shopping, stop by the Paper Issues store and use the code MANDYKAY to save 20% on your order. This card is all kinds of awesome MK!!!! LOVE your card Mandy - the repeated, overlapping stamping looks AWESOME!!! I was wondering what type of ink you used and what order did you apply each one? I used Hero Arts neon inks and I stamped them in the following order, pink, blue(slightly off to the right), and black ink(somewhere in between the pink and blue).